Women More Bragging Less Flaunting! I often come across a lot of articles in magazines regarding topics about how women can be better braggers. You know how men can always throw in quick 1 minute bio of themselves in any conversation and lean the convo around just that. Yeah, they’re are major topics around, how women can better at that. When I came across this article the other day, it really just came to me like a “Wow” moment. According to the research in almost every social networking you see Women outnumber men easily, but when it came to a more professional focused site like LinkedIn, we just didn’t cut it. Not to say Farmville, or obsessively posting pics of yourself isn’t a good use of your social time. but actually putting yourself out there, wanting to build a quality professional network isn’t bragging, it’s networking! And in today’s world it’s not what you know, it’s about who you know… and that’s real! So in my advice to all those column questions in those women mags, use the resources we’re given today that make getting your name out there to the masses. Before you know it you will be able to give that 1 minute bio of yourself like a self sponsored commecial! Still Using a DumbPhone, Survival tips For the Busy Women Exec. My intention is to reach out to the ladies in the auto space, because the internet not only has changed the way dealerships market and communicate with their customers, it has changed internal positions and added many within dealership organizations. Now with these non traditional positions that rarely attracted women to work in a dealership, now there are many taking the plunge, or already taking BDC Departments, Internet Managers, Sync Specialists, etc.. by the horns. I’ve been at conventions consistently for almost 10 years ranging from NADA, Digital Dealer, and PCG and let me tell you it’s exciting to see how the number of women in the business keep climbing. Since jumping out of the vendor space and taking on an E-Commerce Director and managing a personal life such as, being a wife, and mother. Which, I’m sure most of you agree that women hold more stress because of the family responsibilities that magically seem to always be in our court to handle! Balance has become a huge priority. Juggling that on top of a demanding career can be challenging especially in a position where you’re having to indulge yourself in the never ending trends of social media, internet marketing, SEO, mobile, etc…..So with something that seems to go on for 24 hrs and balancing that along with kids schedules and fun adult time, how could you manage it all without a smartphone? The technology is there, so use it! A smartphone isn’t just a cool piece techno power in my purse, it’s the thing that keeps my life in sync. 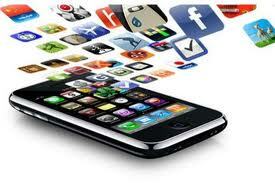 There are soooo many apps out there and I’ve tried a lot of them. But,the apps that are still keepers with me is my cute owl (hootesuite), Boxcar, Twitter, and FB. Although I can use Dealer.com SRM to schedule to posts there’s still a limit. I can schedule hoots on top of SRM and be set for weeks. It’s also cool because of course you can manage several accounts and the Hoot app is really easy to use. Boxcar is a must have, how else are you going to keep up with discussions from #automarketing, blogs from #admcommunity, or new updates from #dd11, especially when you’re on the go? Well, Boxcar let’s me do that not to mention this app is my inbox for EVERYTHING, yeah email, FB, Twitter (incl, all lists, trends, and fav tweeters), 4square, RSS, Google Voice, and this list goes on. But no matter how cool these apps are I still keep the basic Twitter and FB apps because the others are great at the convenient things it allows you to do, but sending messages or tweets from other apps always seem to load slow or the display of live feeds just isn’t as smooth as the originals. Oh and don’t let me forget my favorite app of all. After doing all that hard work and you take a break from the kids make time for your Nike Training Club app. I know some days it’s hard hitting the gym, but this app is like a personal trainer and p90x in your hand. You can do the workouts at home or mix it in with your gym routine. There’s something for everyone from getting lean, getting strong, or getting focused. This is a must have if you want to spice up the boring cardio routine and most importantly to decompress from a long day or getting your day started.